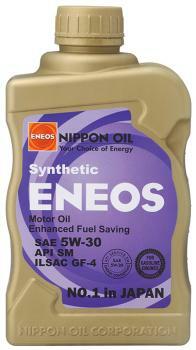 ENEOS Motor Oil - 5W30 UNIVERSAL - Dezod Motorsports Inc - Home of the automotive performance enthusiast since 2002. ENEOS Motor Oil 5W30’s excellent engine cleanliness and wear resistance have been proven in official laboratory tests in the United States. This performance has also been confirmed in a full range of vehicle tests. The consumption of motor oils depends largely on the type of base oil. Because ENEOS Motor Oil 5W30 is blended from high-performance base oils, it has little oil consumption, so users can look forward to adding less oil to their engines.